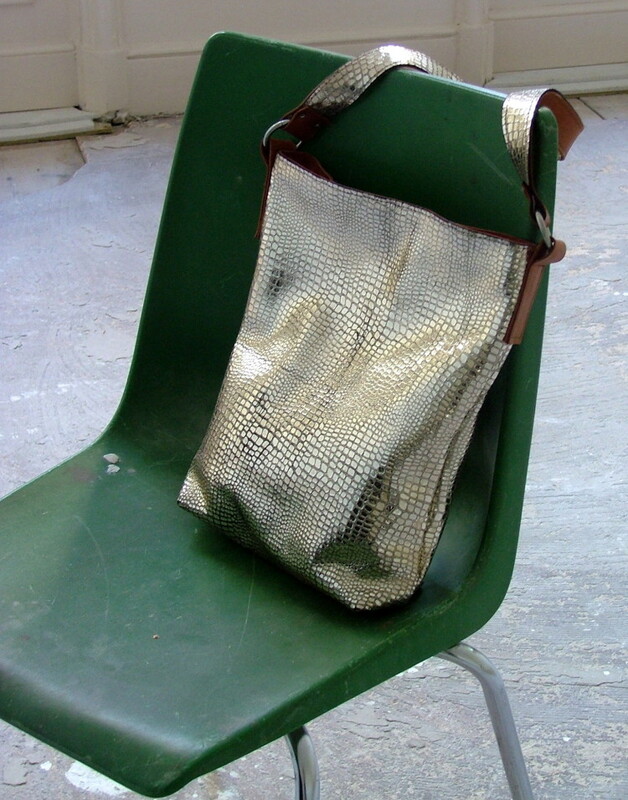 Shoulder bag in crocodile pattern in silver leather. Combined with a simple tan leather to tone down the bag. Inner pocket with zipper and mobile pocket inside.